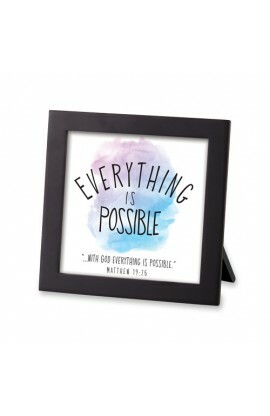 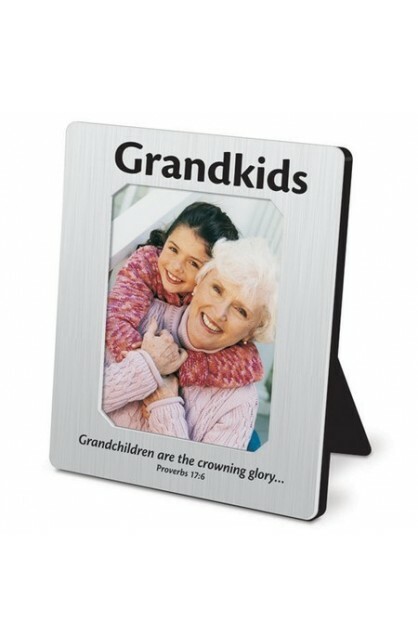 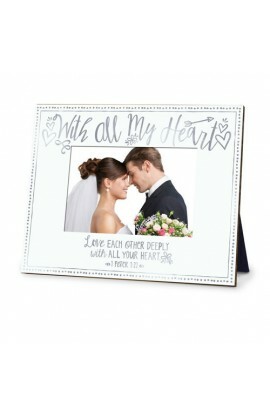 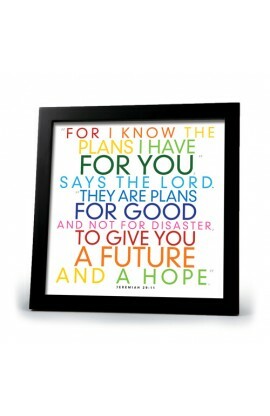 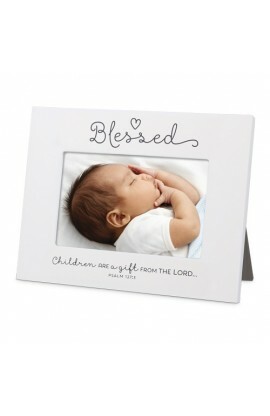 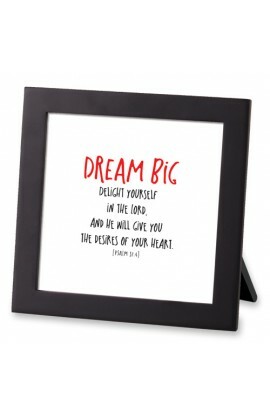 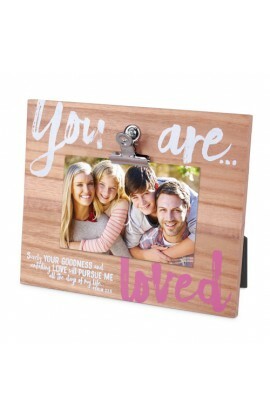 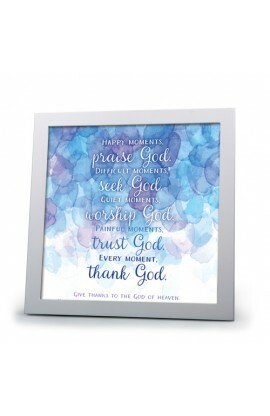 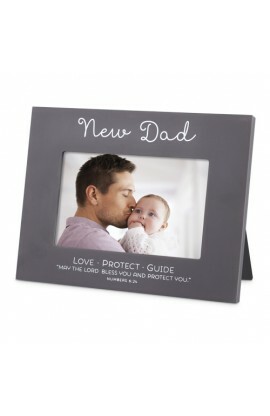 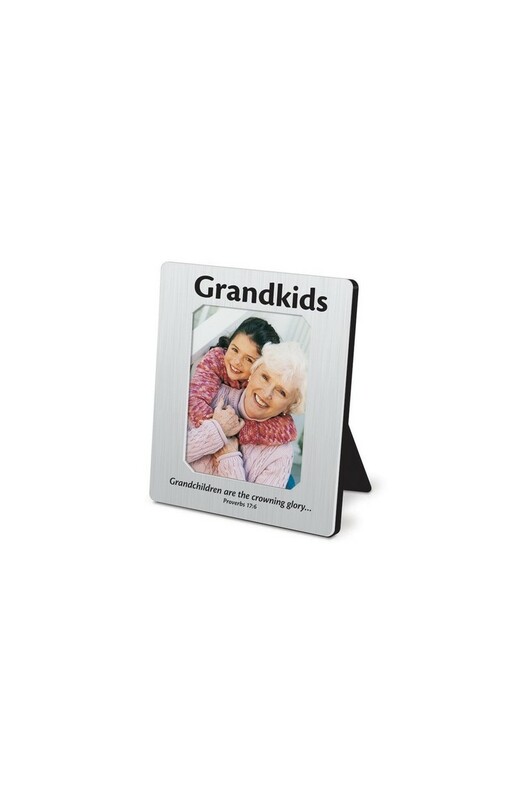 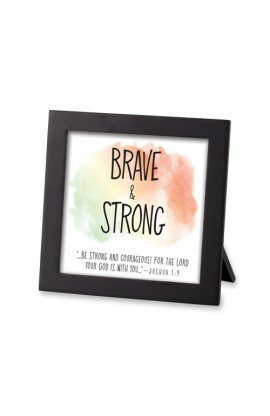 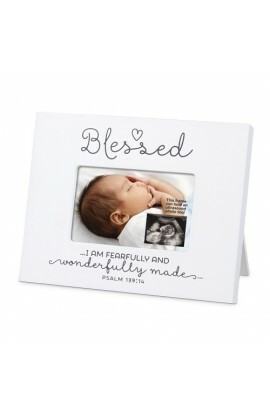 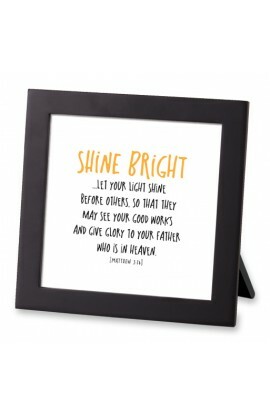 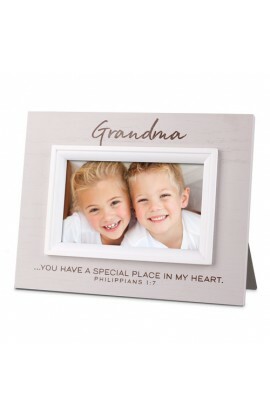 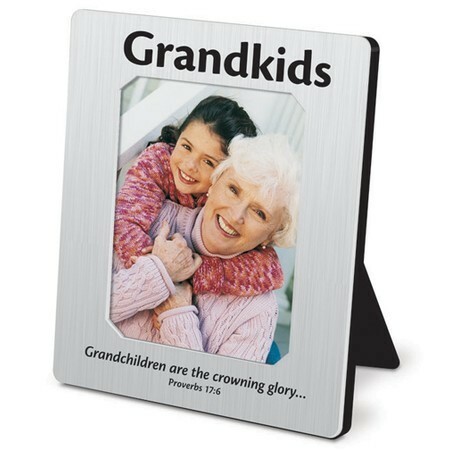 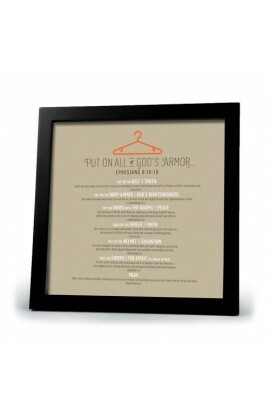 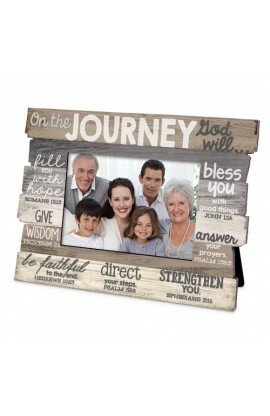 Mini size photo frame with brushed silver finish facing is engraved with header Grandkids and Scripture Grandchildren are the crowning glory... Proverbs 17:6. 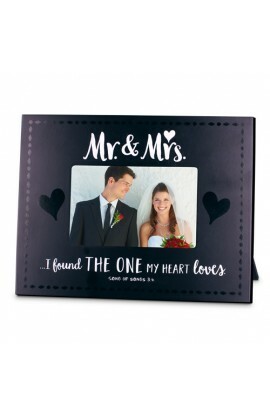 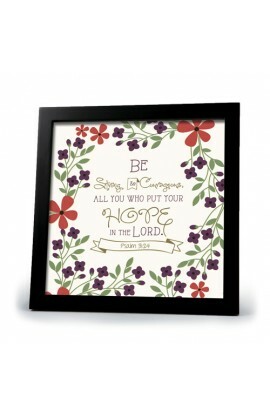 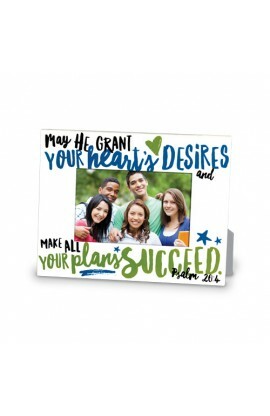 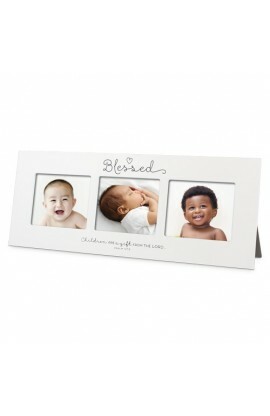 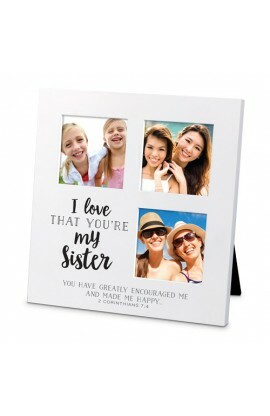 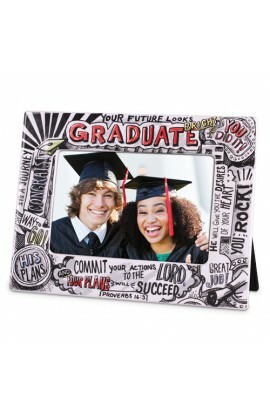 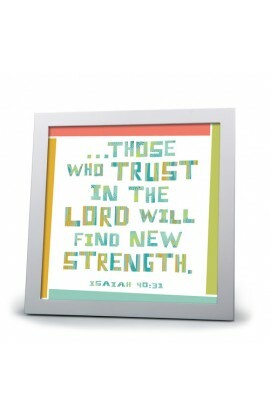 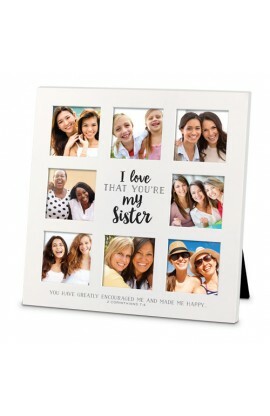 Holds a wallet-sized photo (2.5" x 3"); velvetex easel back; boxed for giving. 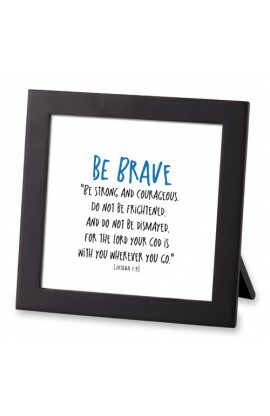 Overall dimensions: 3.25" x 3.75".